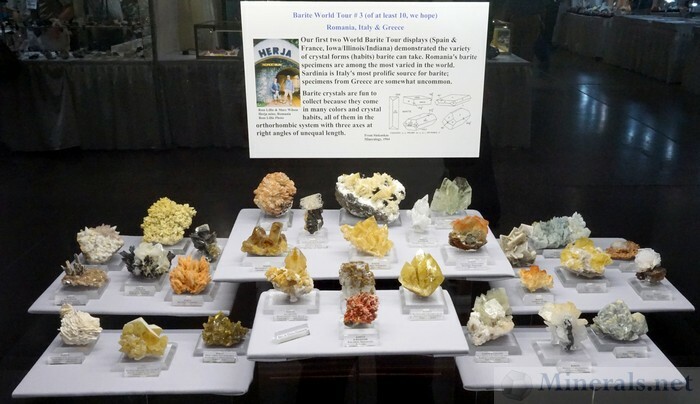 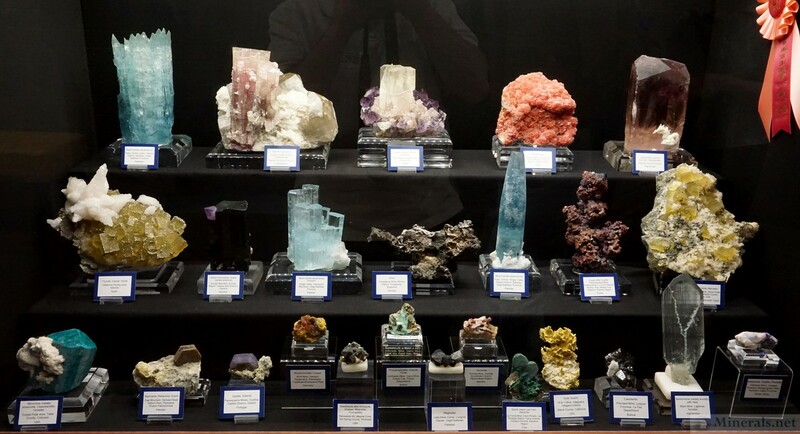 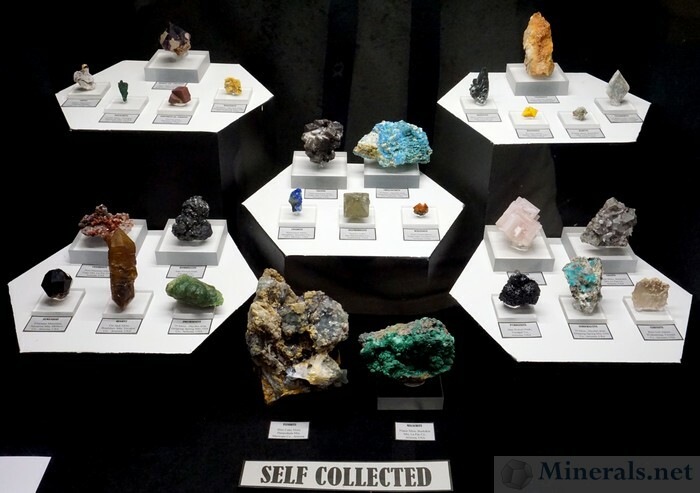 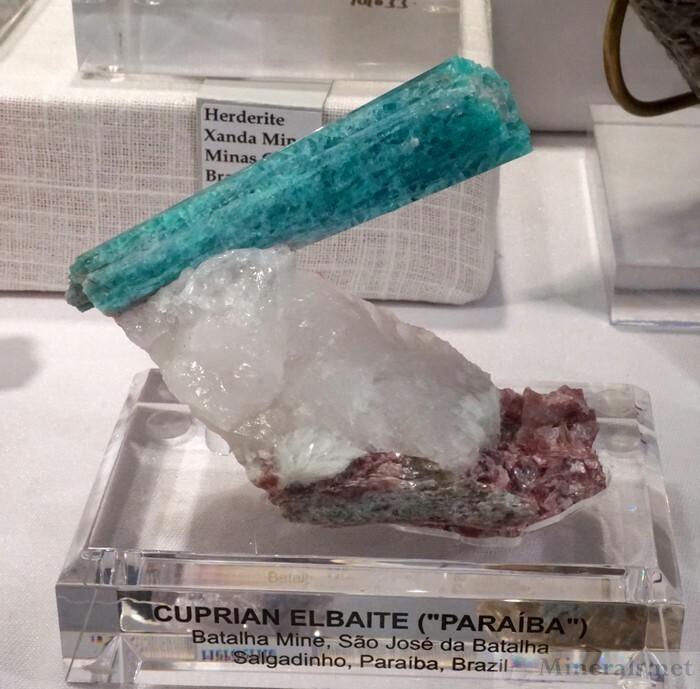 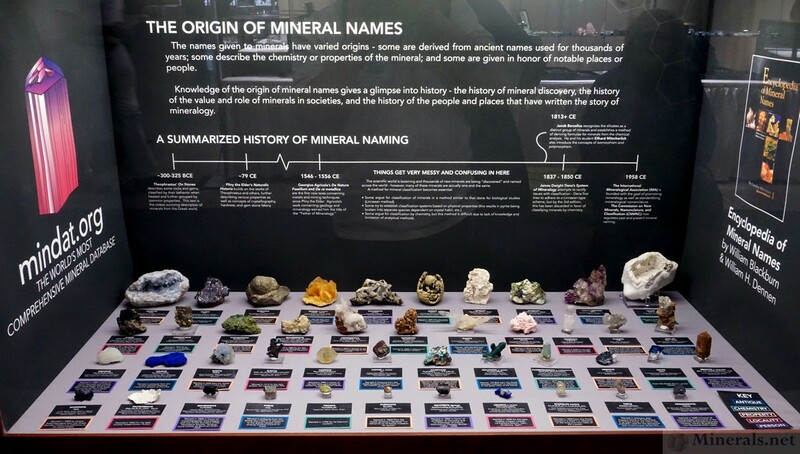 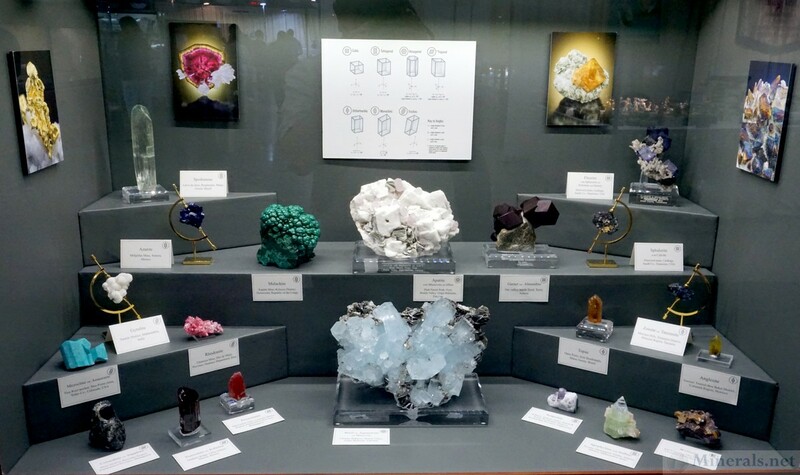 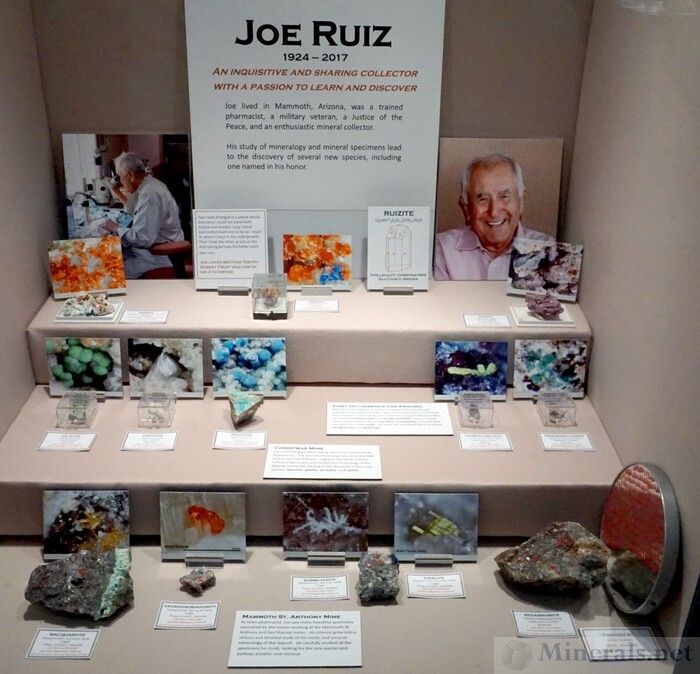 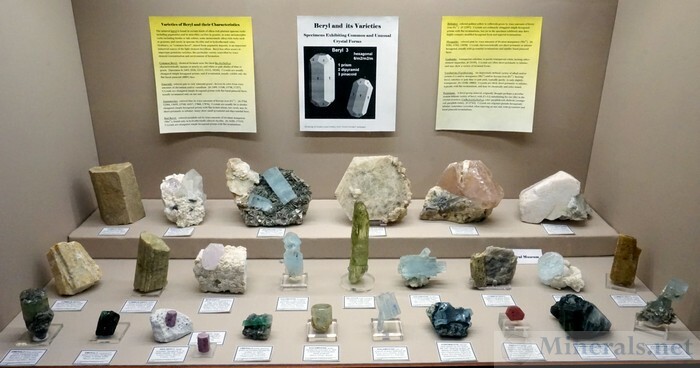 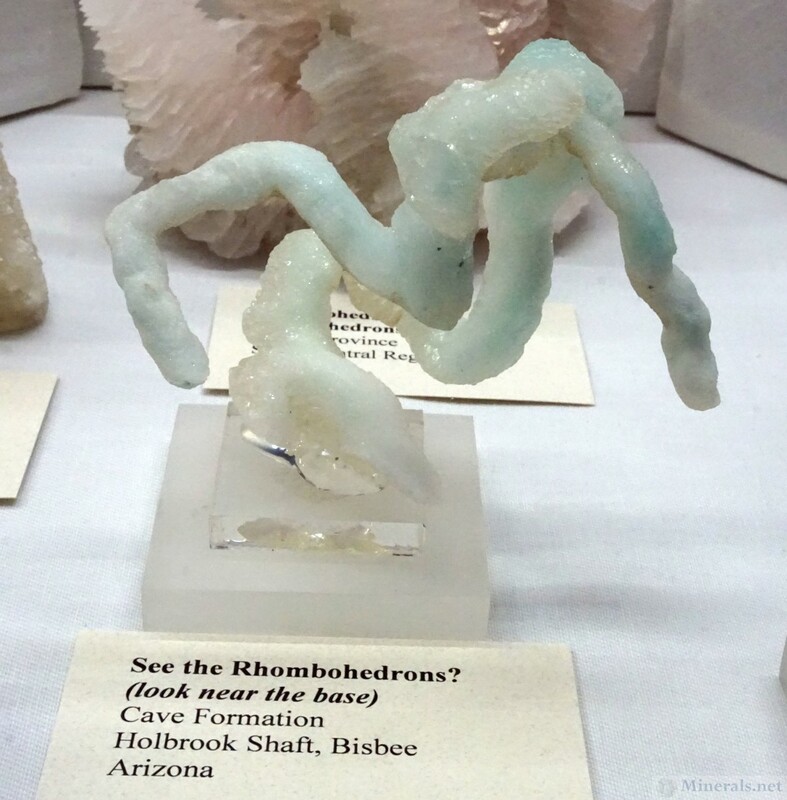 This post contains some of the individual minerals from the display cases at the 2018 Tucson Gem and Mineral Show®. The public displays put together by individual collectors and mineral clubs were all filled with exceptional minerals, and it was difficult for us to choose which to photograph, and then which to post to our show reports. There are thousands of great minerals; these below are just a sampling of those that were particularly memorable or exceptionally photogenic. 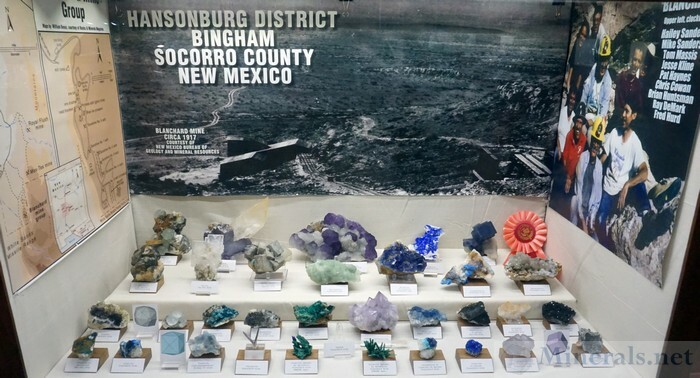 Since many of these were from the Lidstrom Entries or other cases that did not have the name of the organizer of the case, we were unable to provide ownership information on many of the specimens show here. 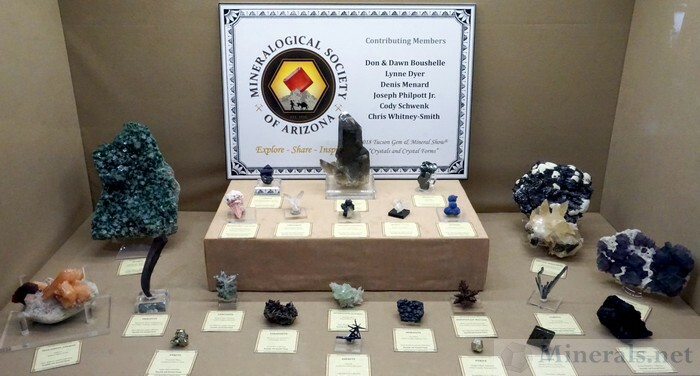 This is the final "catch-all" post of the remaining display cases that we will show from the 2018 Tucson Gem and Mineral public displays. While there are plenty more good displays that were exhibited at the show, we kept a focus on on the most significant or attractive cases. 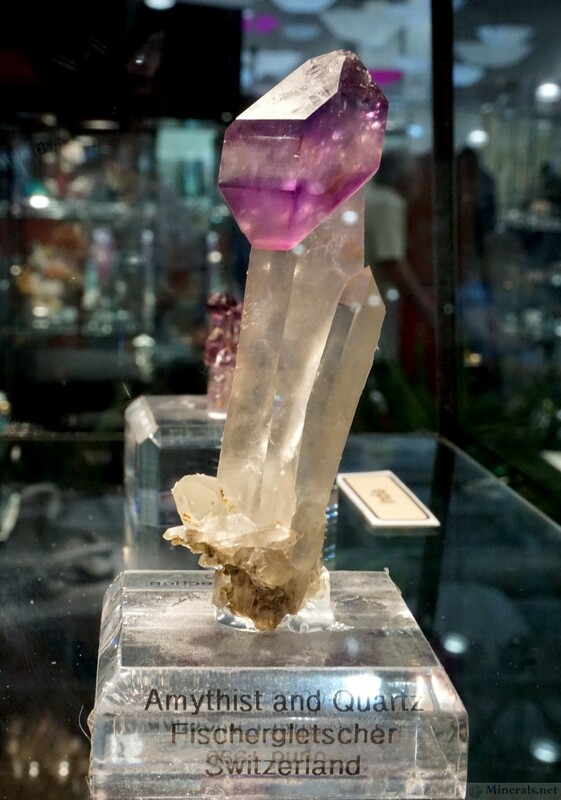 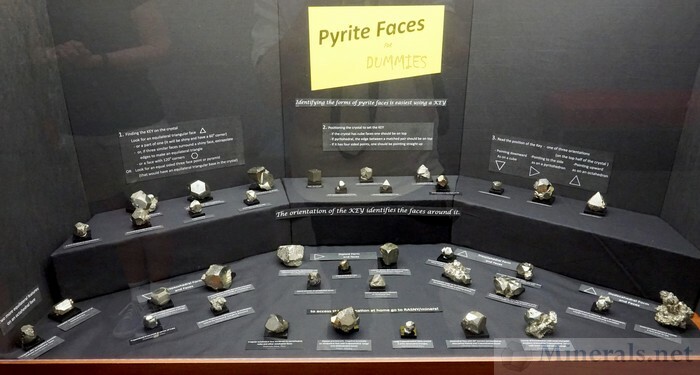 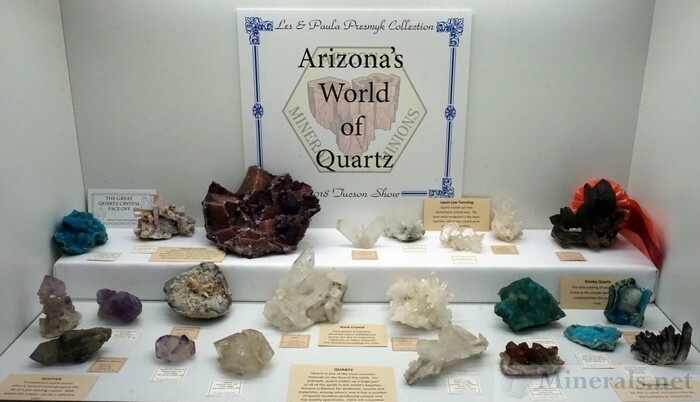 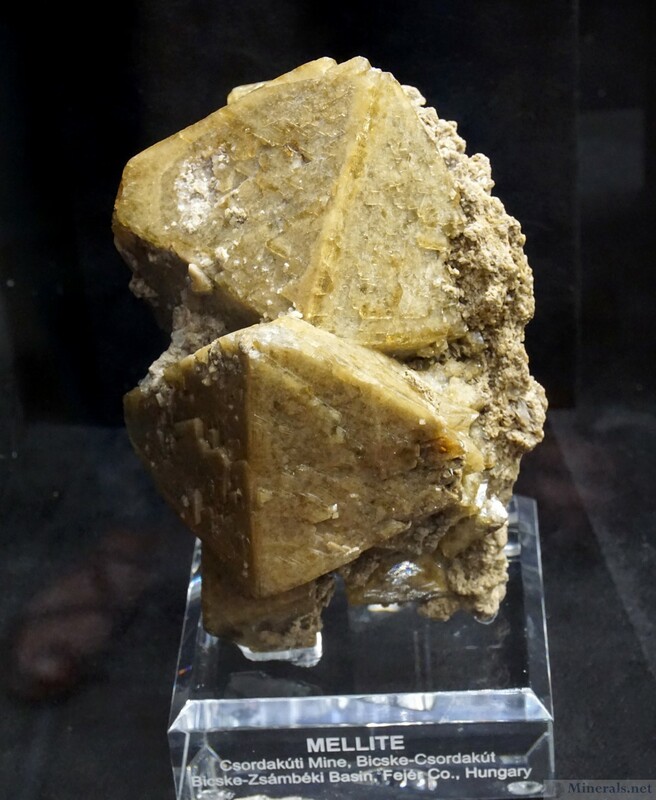 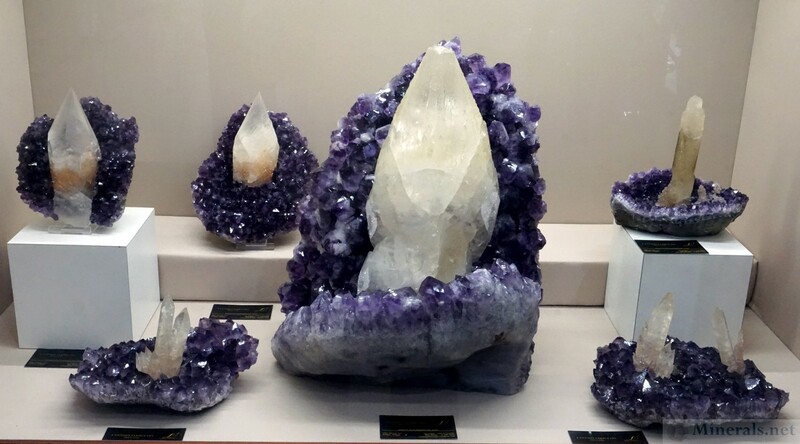 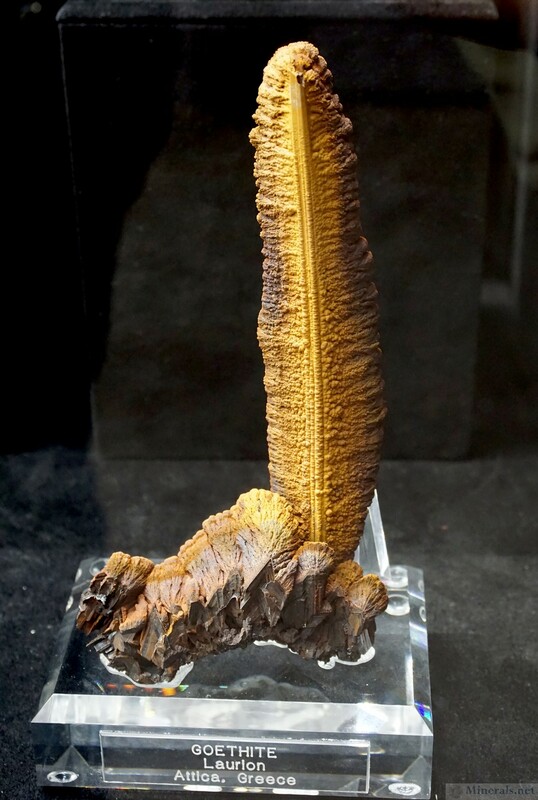 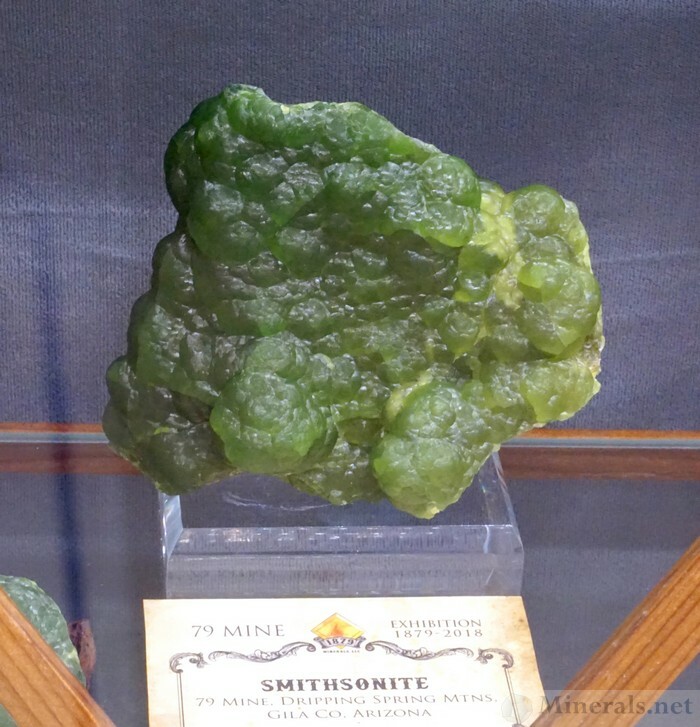 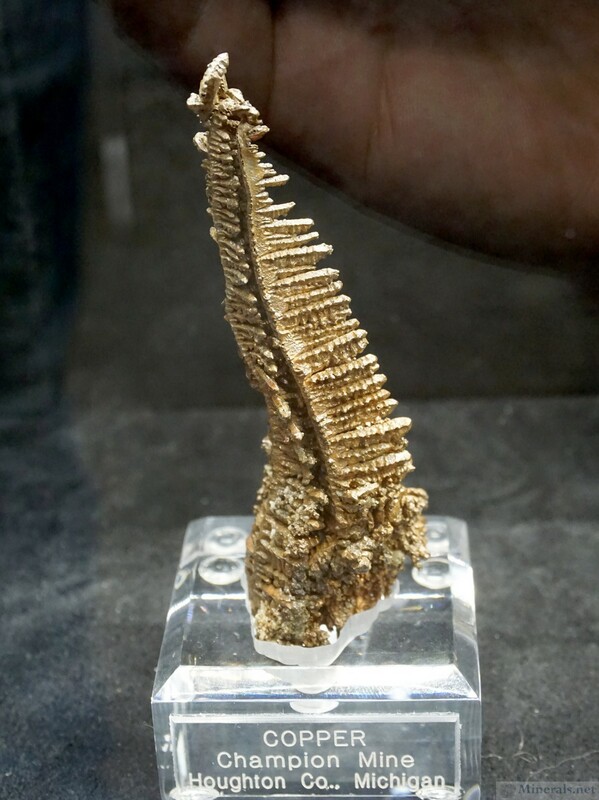 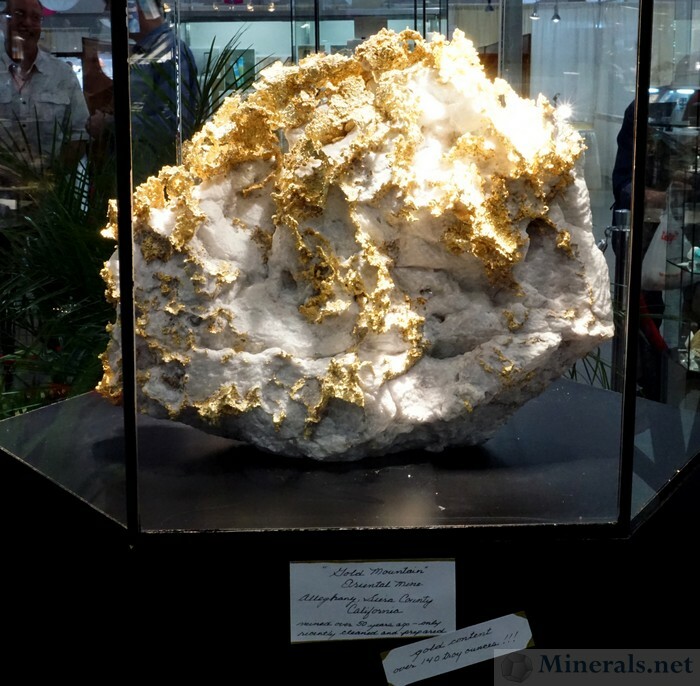 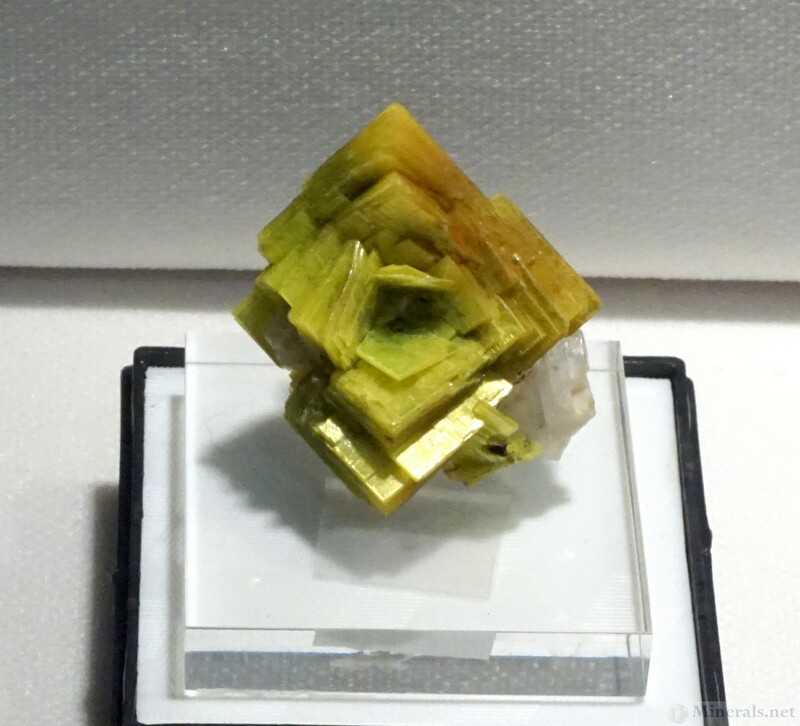 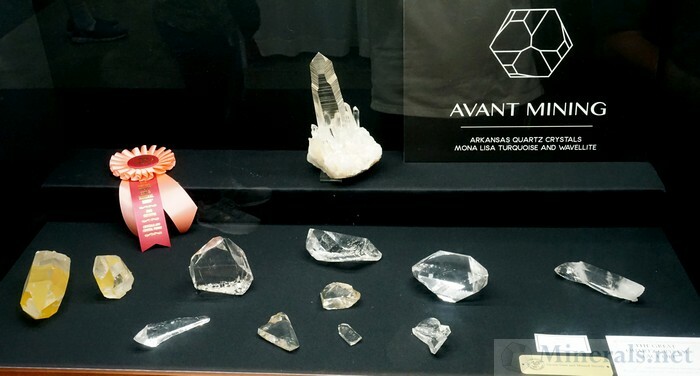 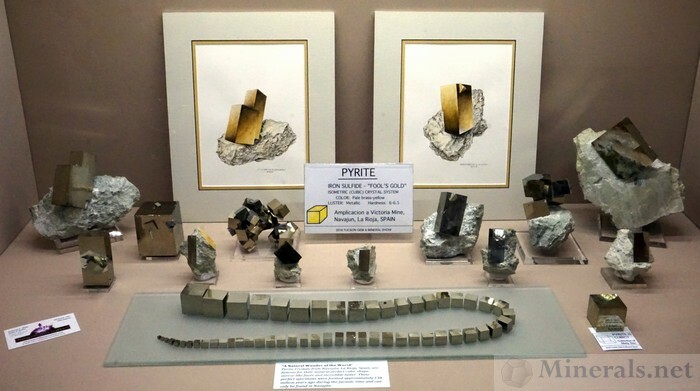 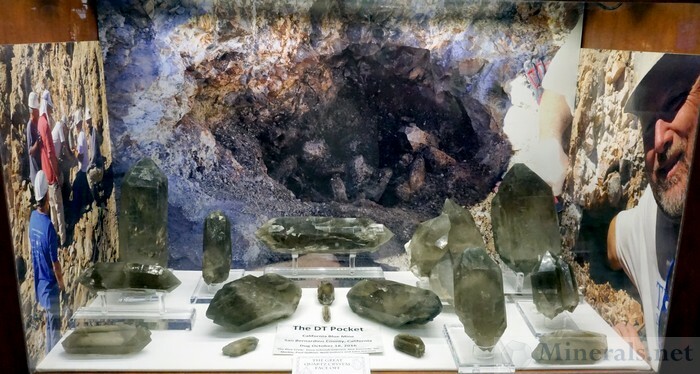 This post is a continuation of the previous post on the general exhibit displays seen at the 2018 Tucson Gem and Mineral Show®. 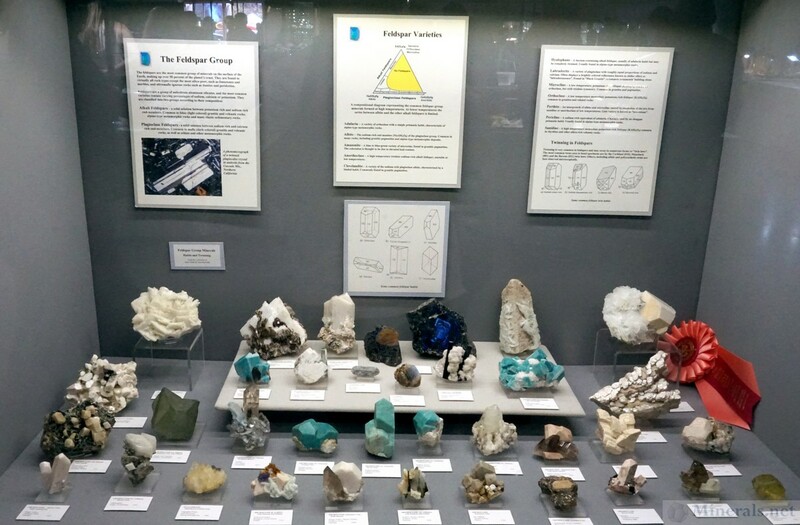 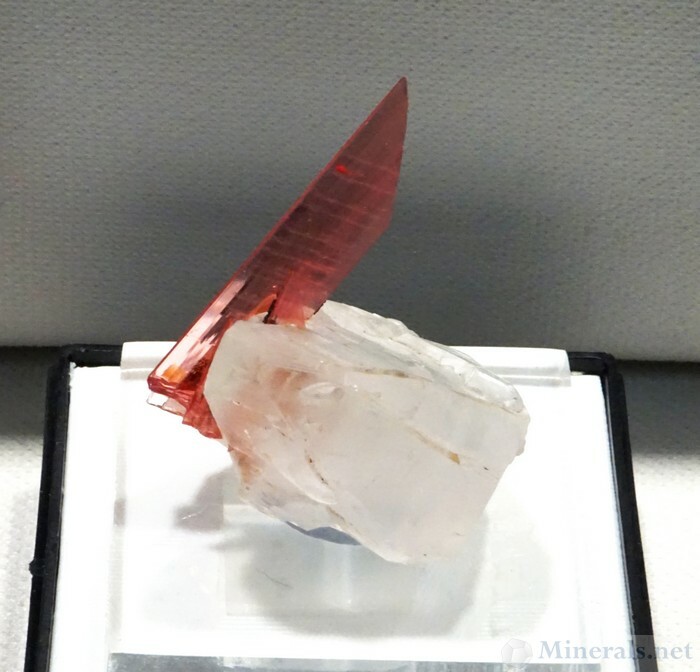 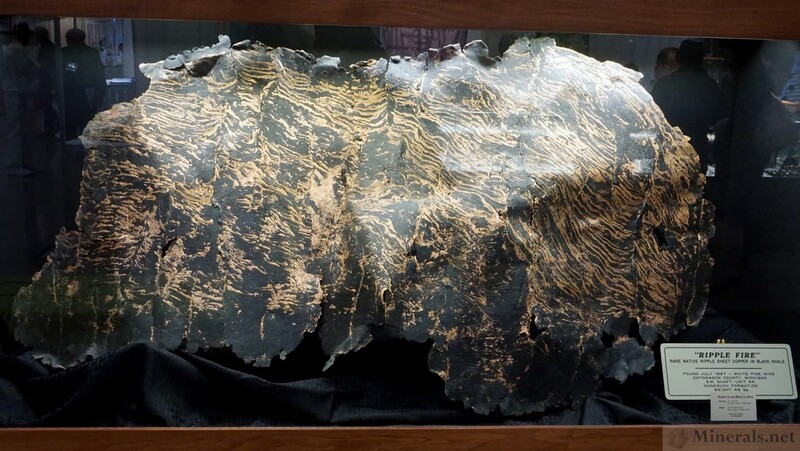 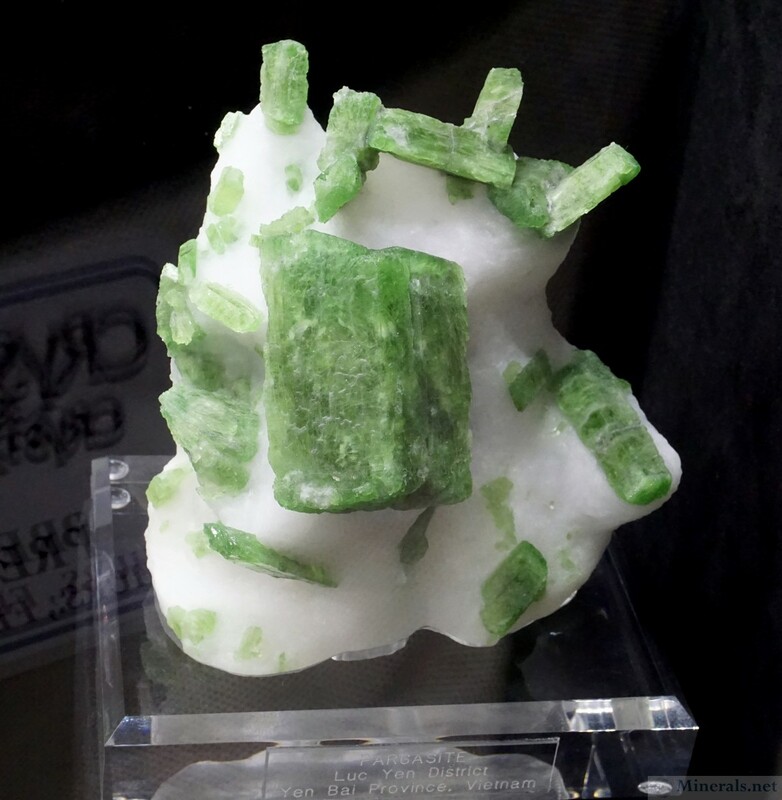 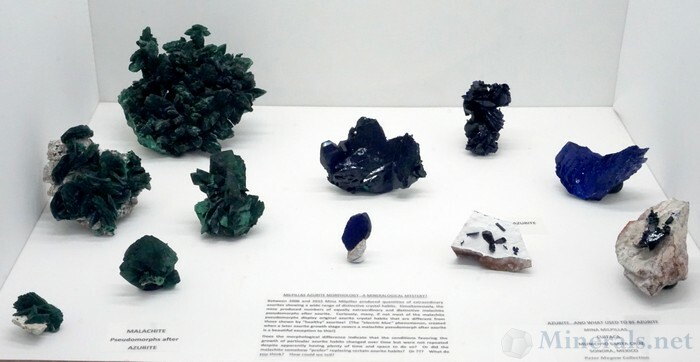 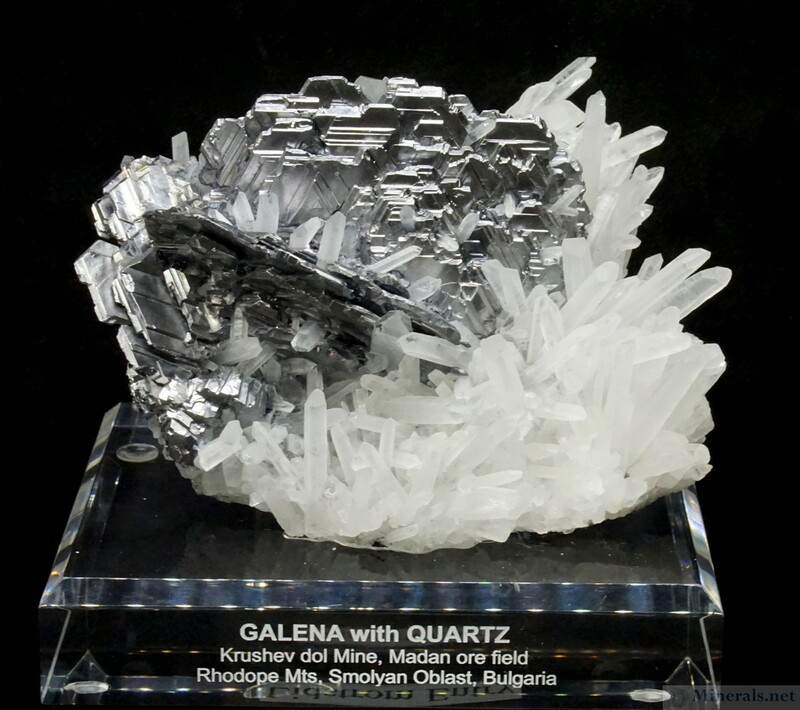 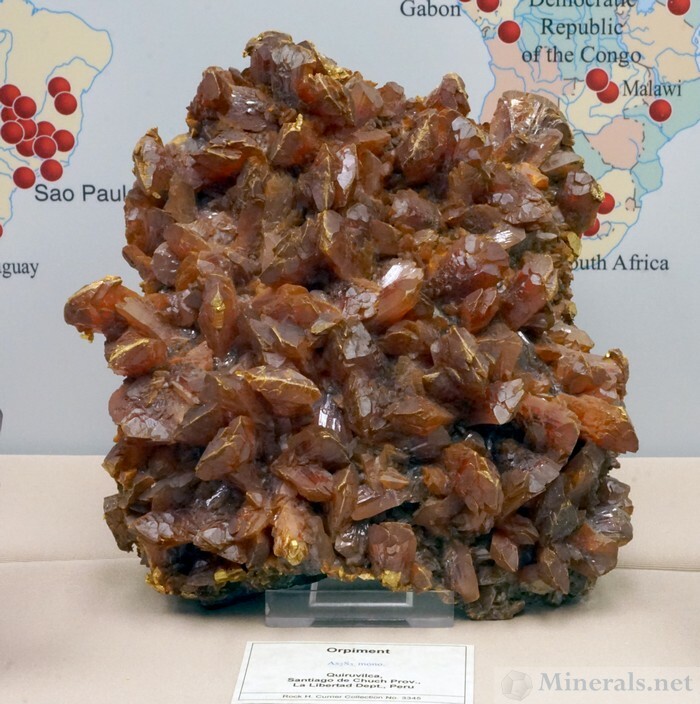 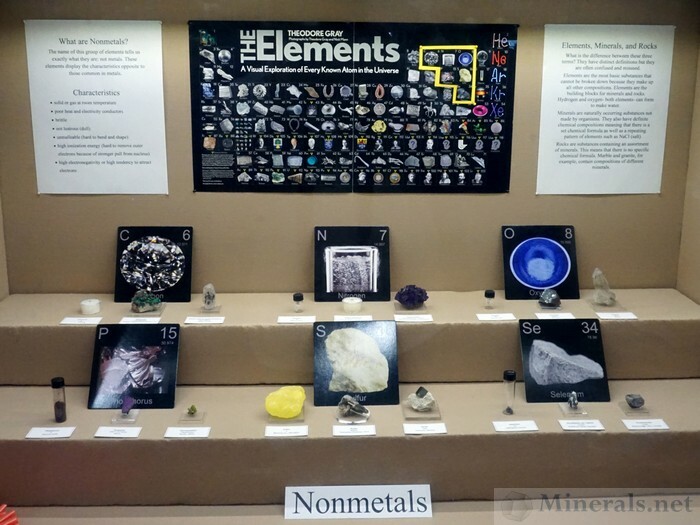 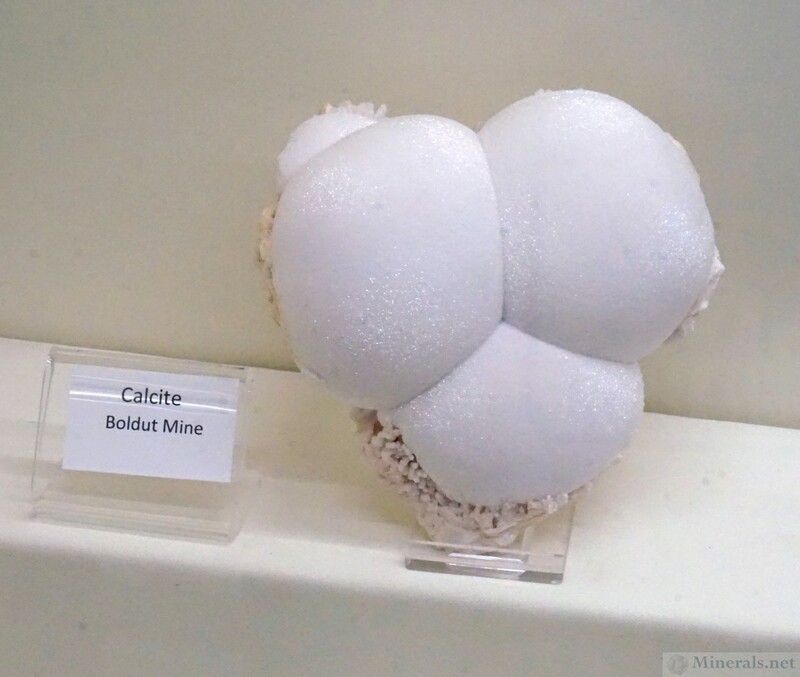 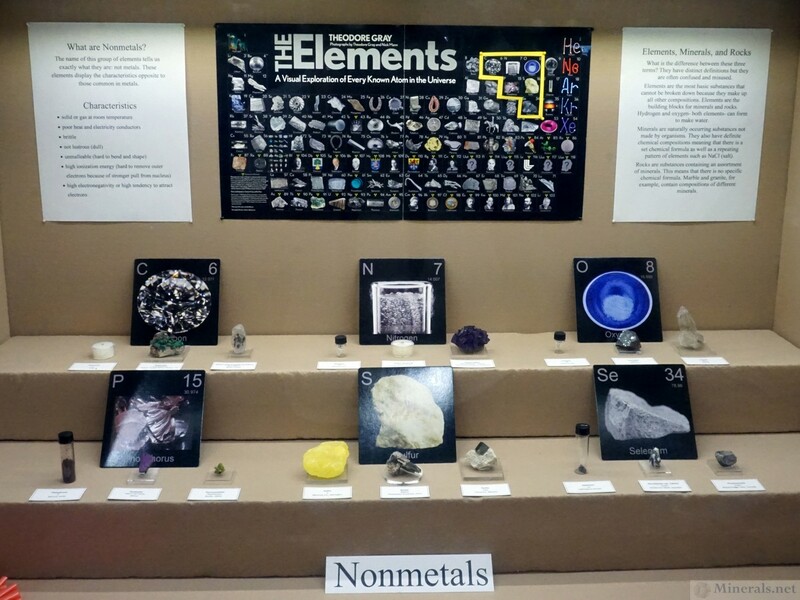 This post includes the rest of the mineral displays from private individuals or clubs. Our next posts on the displays will feature some additional public exhibits including the Great Quartz Face-off and Lidstrom entries. 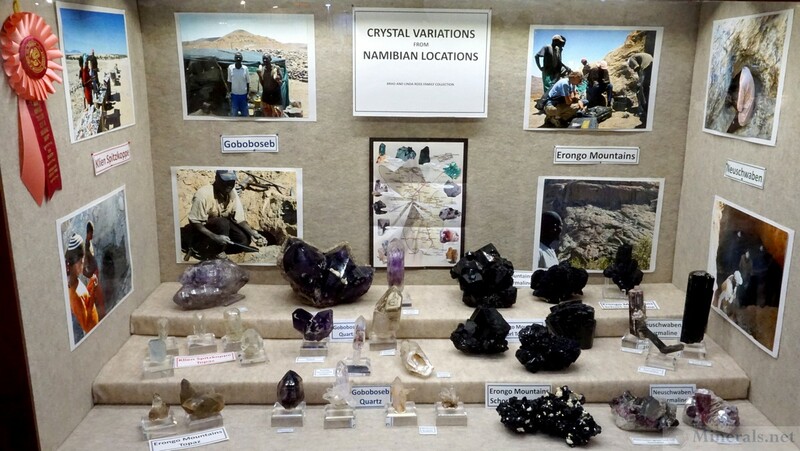 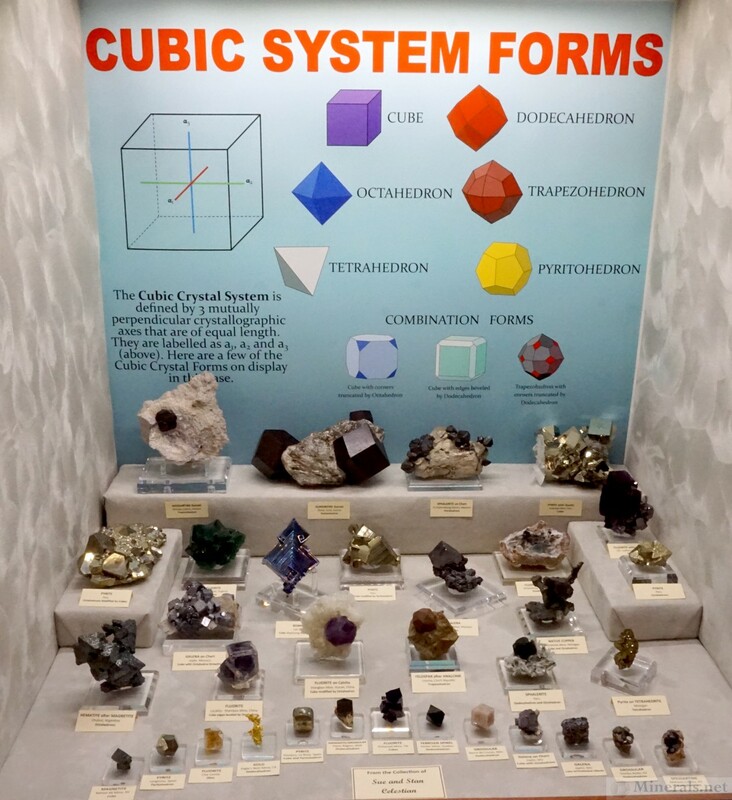 Steve Bussan with Carmen H.
The next two posts feature some of the general displays at the 2018 Tucson Gem and Mineral ® Show. 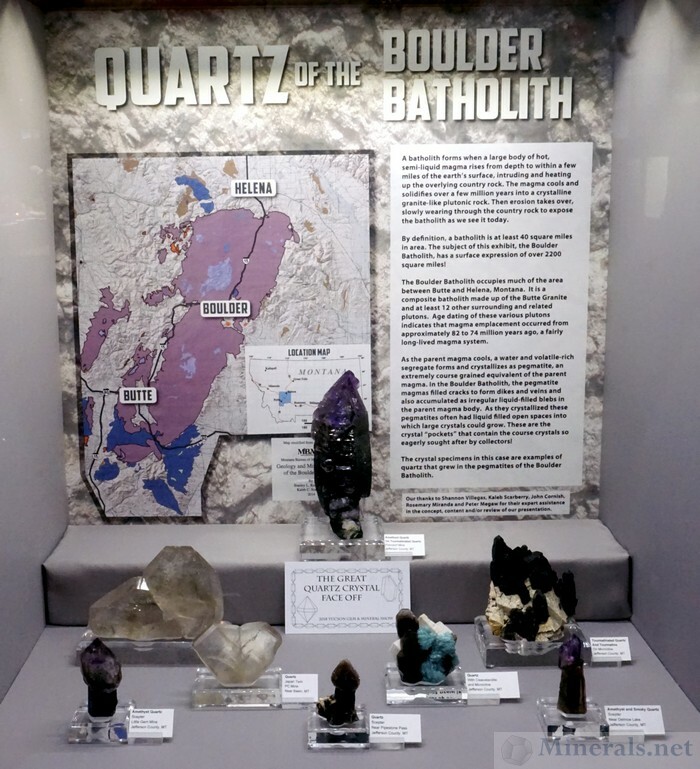 This will feature some of the exceptional display cases that were put together by private individuals or clubs not included in the previous posts, or in the Quartz face off or Lidstrom Entries. 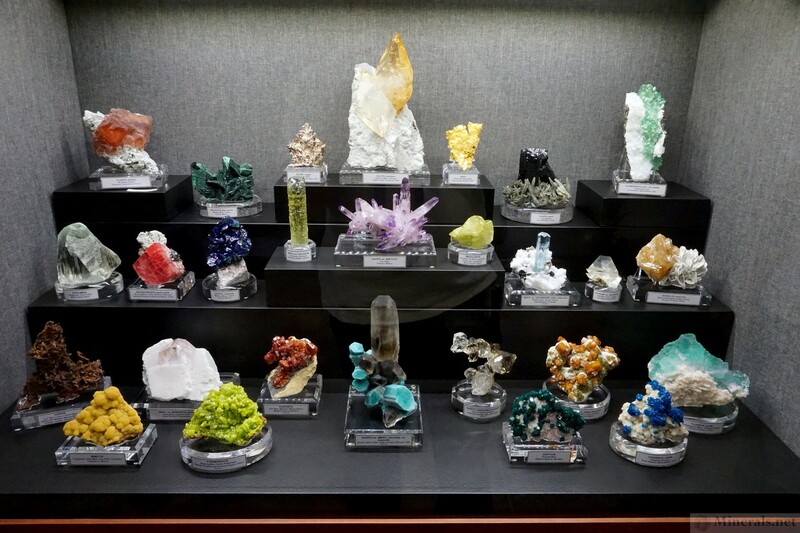 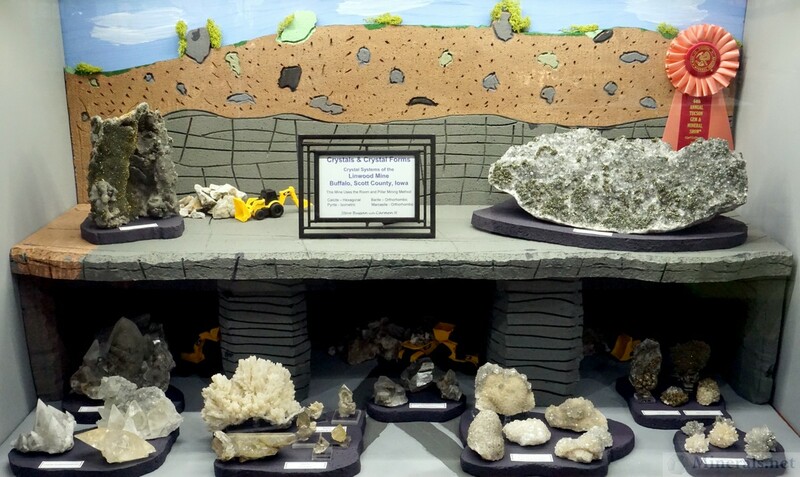 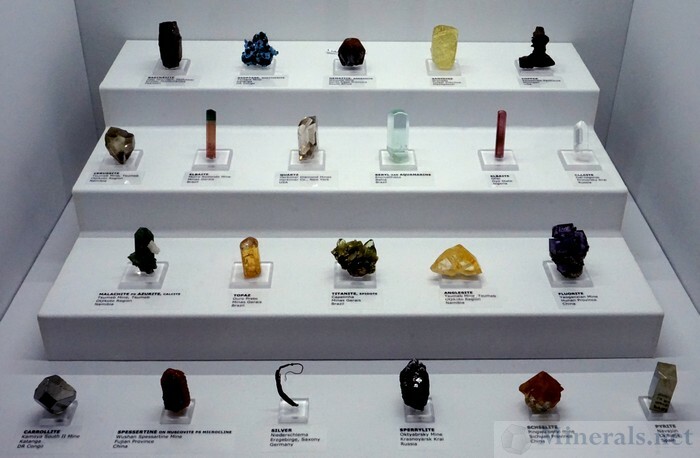 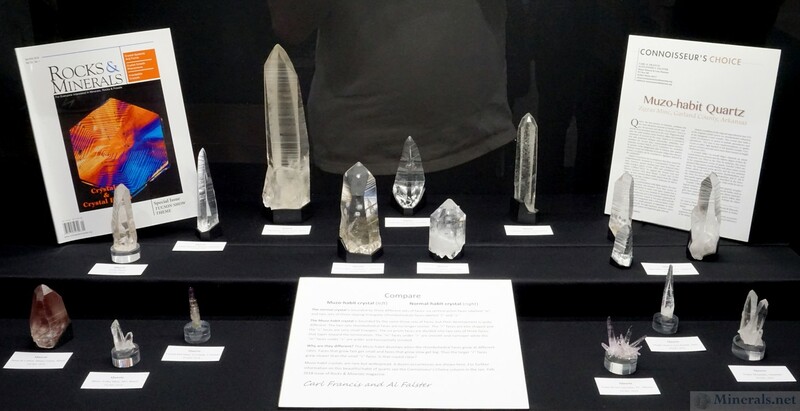 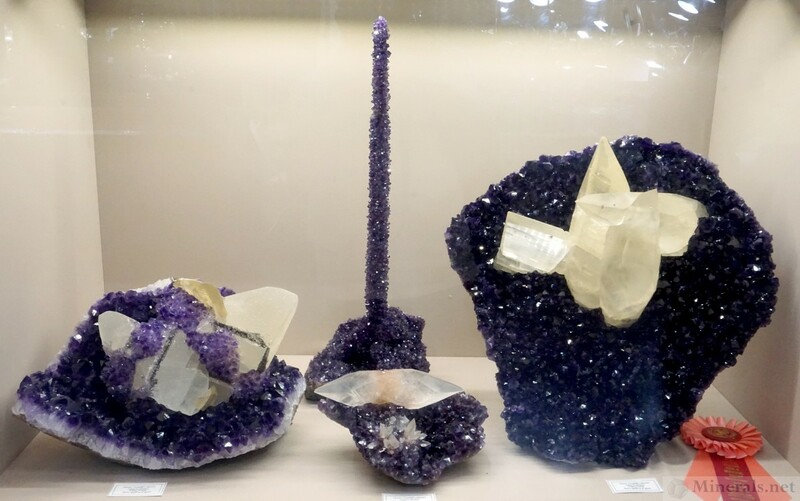 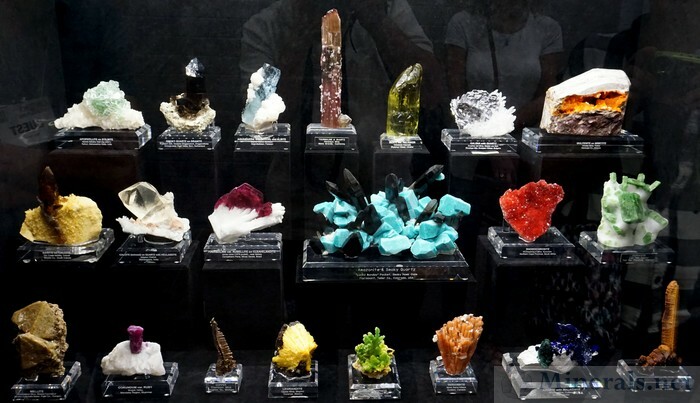 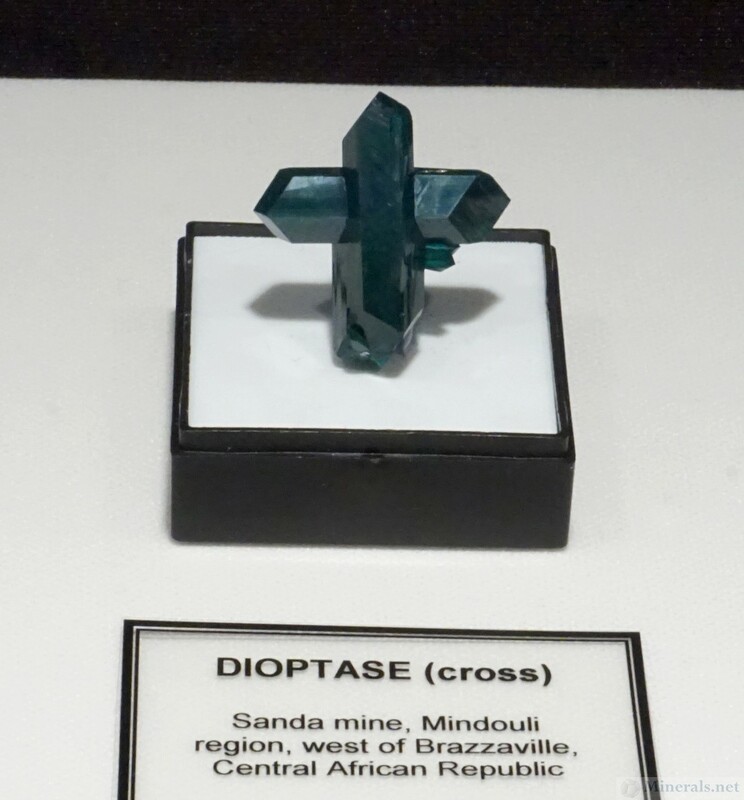 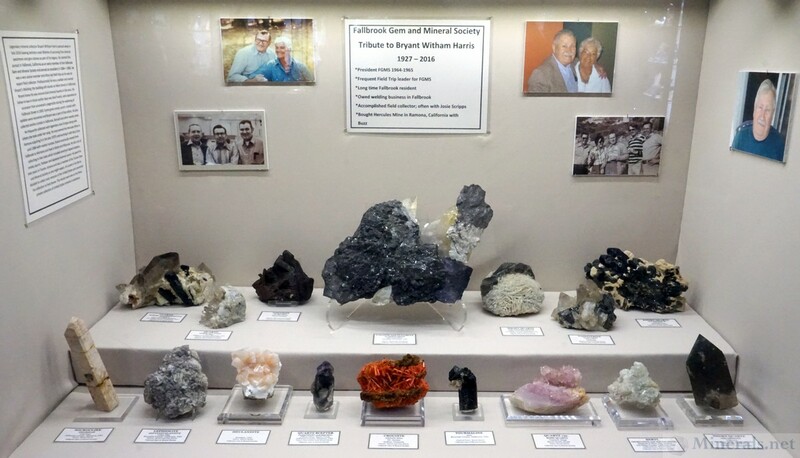 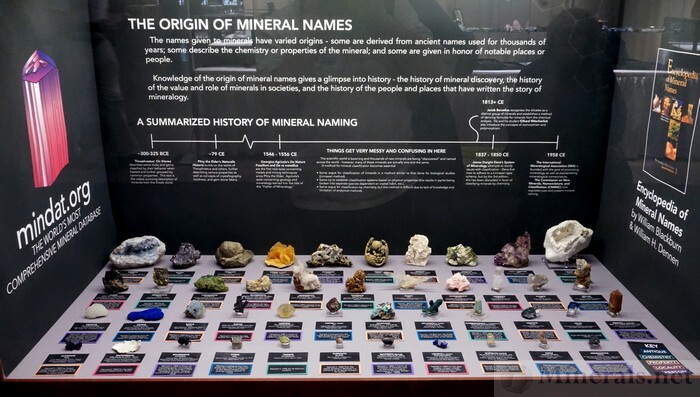 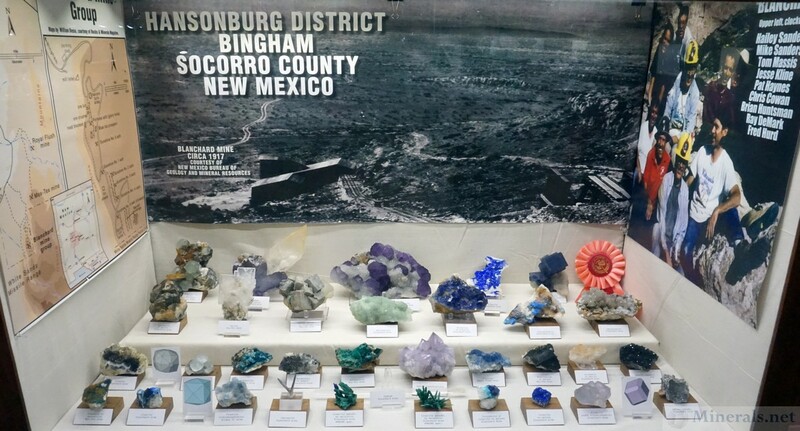 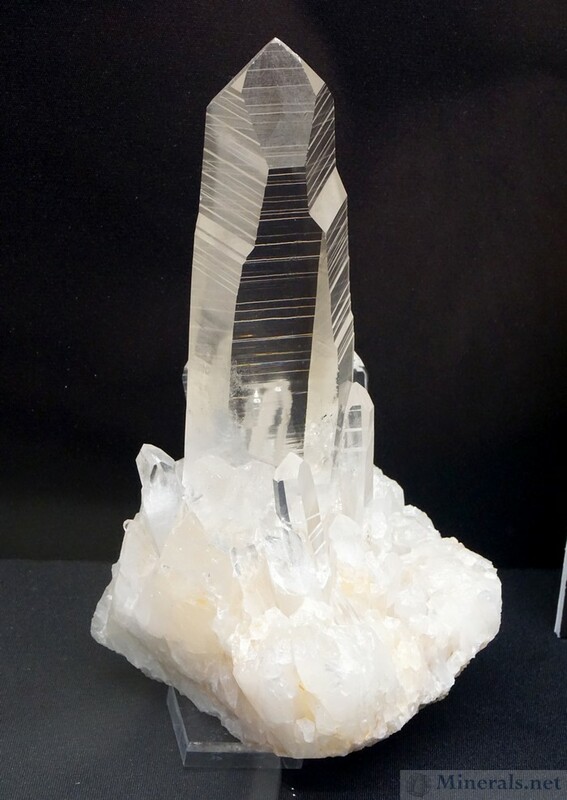 While many displays stuck to the show theme such as various crystal habits for specific mineral types, or twinning on certain minerals, many did not keep to the theme as it was not as definable as in previous years. 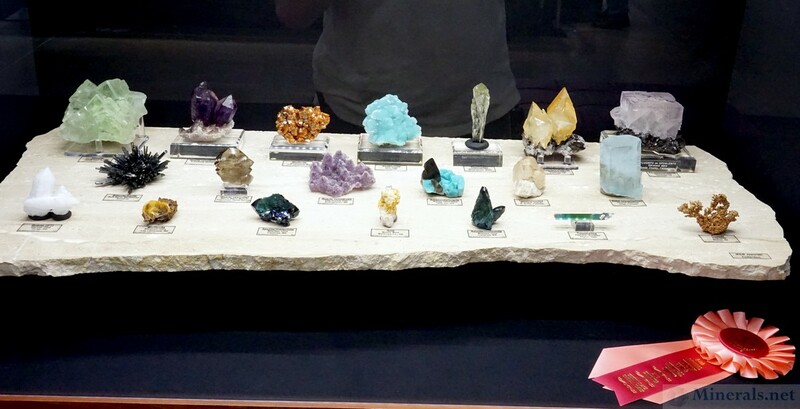 Nevertheless, the displays were fantastic as usual. 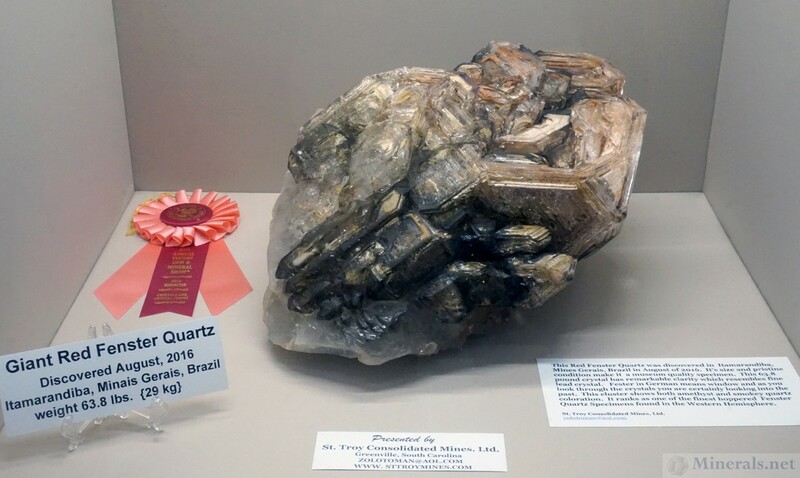 Presented by St. Troy Consolidated Mines, Ltd. 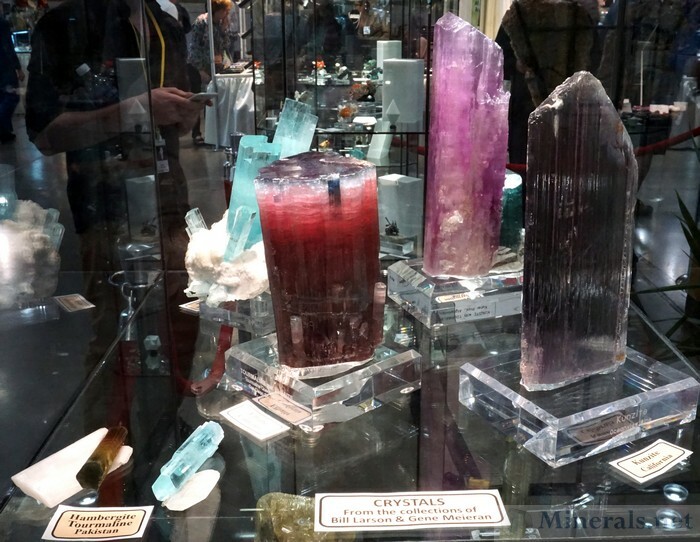 The most impressive displays at the The Tucson Gem and Mineral Show® are the large glass exhibit cases, mostly clustered around the center display area of the Tucson Convention Center show floor. These displays contain some of the finest minerals from mineral collectors, museums, and club members, and are put together very well aesthetically with sharp lighting. This year's large displays were outstanding, and I made a separate news post featuring some of them. Cruzero Mine Tourmaline Giants, from St. 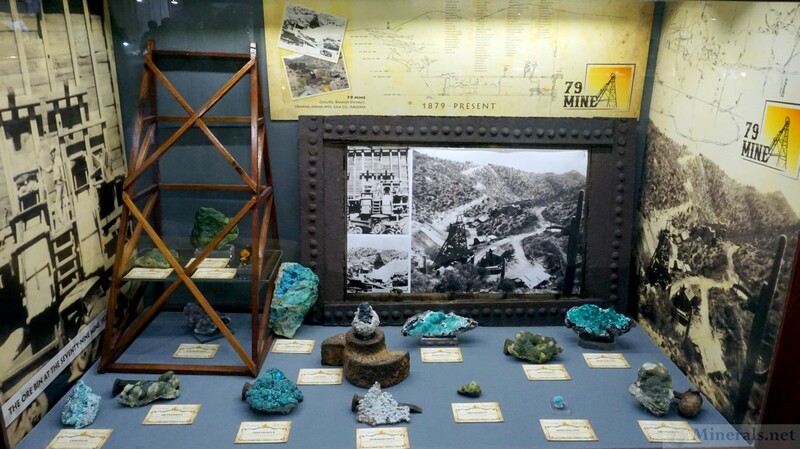 Troy Consolidated Mines, Ltd.